Description: Wrights Extra Wide Double Fold Bias Tape is colorfast and needs no ironing. It's great for binding straight or curved edges, or as a color accent on apparel and home decor projects. Machine washable. 55% polyester and 45% cotton. 1/2 inch wide finished size. 3 yards. Emerald. 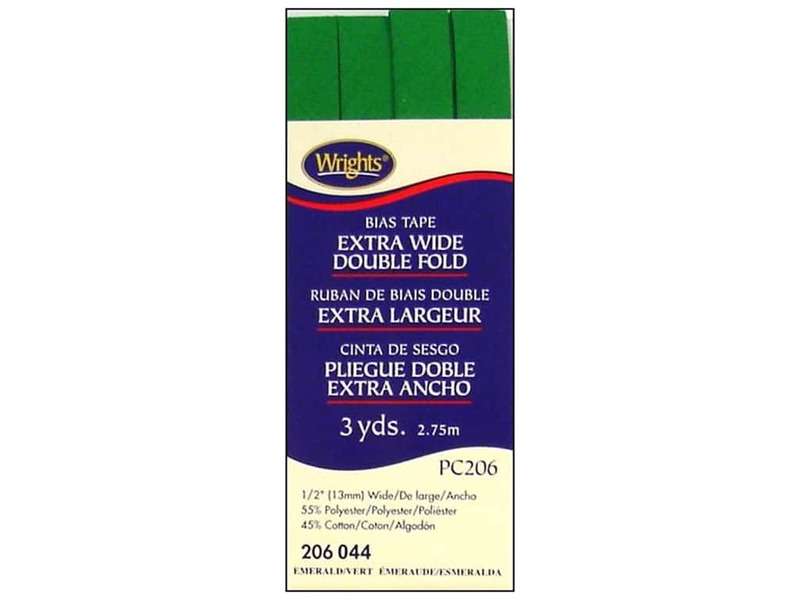 Wrights Extra Wide Double Fold Bias Tape 3 yd. Emerald -- CreateForLess 5.00 out of 5 based on 2 ratings. 2 user reviews.